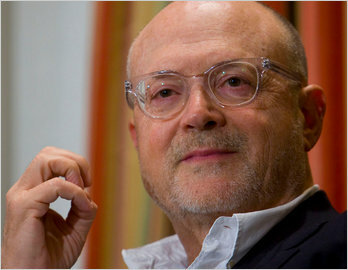 Mickey Drexler, the CEO of J.Crew, is a rockstar of the retail world. He inspires me. I wanna be like Mickey. He has been through difficult times in his career, but did not let them phase him. Mickey was unexpectedly fired from The Gap in 2002. When he came to J.Crew it was "a declining brand competing in an increasingly crowded field." (Source) The company has since become a trendsetting leader and has more than doubled in value. He is a retail guy who grew up in the Bronx as the son of a garment-district button buyer, and today sits on the board of the most valuable technology company in the world. Apple is not only an amazing technology company, but it is also an amazing retailer. Mickey can take credit for contributing to the development of retail stores that have the highest sales per square foot of any store in the country. He responds to his emails, and really quickly too: Even though I had not met him, I emailed Mickey Drexler several years ago. He sent a return email within several hours. Too many people do not respond to email at all. I was not expecting to receive a response from Mickey, as I imagine that he is extremely busy, and yet he (not his secretary) wrote back to me. He does what works for him, even if those things might seem odd: He speaks to employees throughout any given day with the use of a loudspeaker that pipes his voice throughout the J.Crew office. This is a bit odd, but it works for Mickey so he sticks with it. He is frank. If you have ever seen him speak publicly, you will notice that he does not bother with formalities. He gets right to the point. In this New Yorker profile, titled "The Merchant", Nick Paumgarten explains, "For the most part, candor comes naturally to Drexler, and he has chosen not to labor as hard as some others in public life to pinch it down." Women's Wear Daily recently reported how he was both vocal and critical at a forum for industry leaders, even though he was not a panelist: Mickey Drexler's New Role: Critic at Financo Forum. And he said this: “Too many people overlook the importance of beautiful product and the fact that creativity drives growth in any business, not just fashion," (Source) and I could not agree more.